Longtime management committee member Brian Jackson is stepping up into the chairman role. (l-r) Mark Van Blargan, Brian Jackson and Donna Kreiser, with McNees Wallace & Nurick. 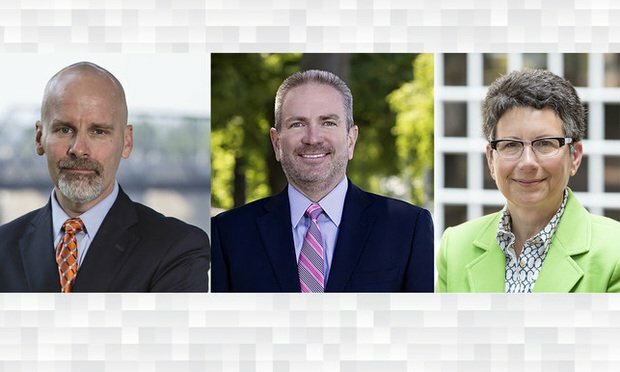 Regional midsize firm McNees Wallace & Nurick is poised to make a long-expected leadership shuffle, as chairman David Kleppinger steps down from his position after 12 years.